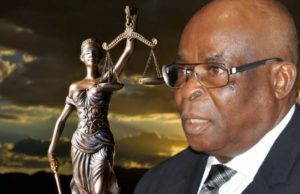 The embattled suspended Chief Justice of Nigeria, CJN, Justice Walter Onnoghen has, Friday, resigned. 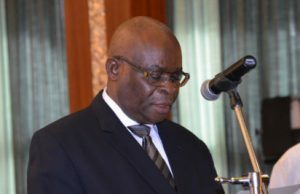 Just as the suspended Chief Justice of Nigeria, CJN, Justice Walter Onnoghen, has insisted that he deserves fair hearing in his trial over failure to declare his assets, the Federal Government, on Monday, gave reasons why the six-count charge it initiated against Onnoghen must continue to its logical conclusion. 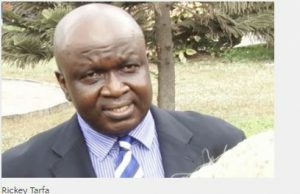 Lagos-The trial of a Senior Advocate of Nigeria, Rickey Tarfa (SAN) standing trial over alleged perversion of the course of justice before a Lagos High Court, sitting in Igbosere, was Monday, stalled due to the absence of the trial judge. 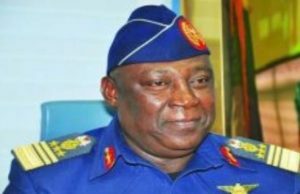 The Justice Okon Abang-led Abuja Division of the Federal High Court, on Monday, terminated all charges filed by the Economic and Financial Crimes Commission, EFCC, against the former Chief of Defence Staff, late Alex Badeh. 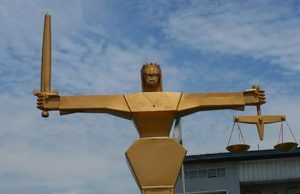 The Court of Appeal in Abuja, on Wednesday, reserved its rulings in four appeals instituted by suspended Chief Justice of Nigeria, Justice Walter Onnoghen against his trial at the Code of Conduct Tribunal (CCT). 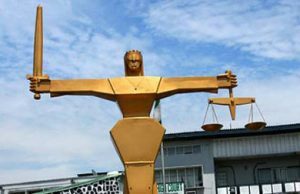 Contrary to reports published by some newspapers, the Federal High Court in Abuja has exonerated Senator Ikechukwu Obiorah from any liability in a case entered by some persons claiming to be staff of Daily Times Nigeria Limited against the Nigeria Police and Sen Ikechukwu Obiorah. 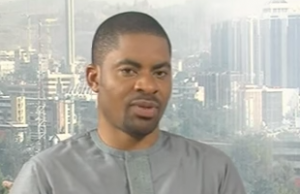 ABUJA - Several civil society organisations, CSOs, on Wednesday, staged a demonstration at the headquarters of the National Human Right Commission, NHRC, in Abuja to protest against the unlawful detention of Deji Adeyanju, a rights activists and a strong critic the government. 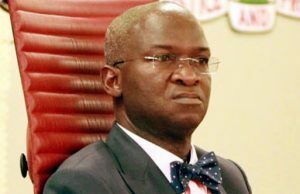 The Minister of Power, Works and Housing Mr Babatunde Fashola has been sued over his failure to account, for “the spending on the privatisation of the electricity sector and the exact amount of post-privatisation spending on generation companies (GENCOS), distribution companies (DISCOS) and Transmission Company of Nigeria”. A leading multinational oil trading firm in the country, Petrocam Trading Nigeria Limited has petitioned the Chief Justice of Nigeria, Hon. 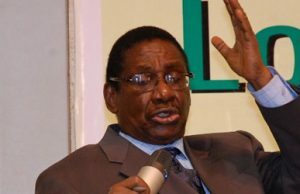 Justice Walter S. N. Onnoghen and National Judicial Council (NJC) over what it described as "perceived abuse and reckless use of judicial powers to oppress and cause damage" to its business in a case with suit no. 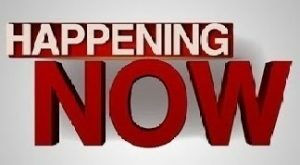 (FHC/L/CS/38/2018) instituted by Union Bank of Nigeria Plc.